Stay up to date with the latest news from the American Air Museum. Read articles from our staff and guest bloggers. Log in to leave your comments. We have been combing through Roger Freeman’s photographic collection and gathering as much information as we can on each picture in the collection. We have then written up a digital record entry attached to a digital copy of each photograph. In September, the first 3,000 of these 15,000 images will be available to view and download from the new AAM website. Each photo will have its accompanying information, whether that's on the front of the print or on its reverse – doubly important as the reverses have not been digitized – displayed with the picture for easy viewing. This will be combined with any details pertinent to the photograph we have researched or gleaned from Roger Freeman’s paper archive. Now, to show you what that means in practice, I’ll cheat slightly and use a picture processed a few weeks ago to explain the procedure. 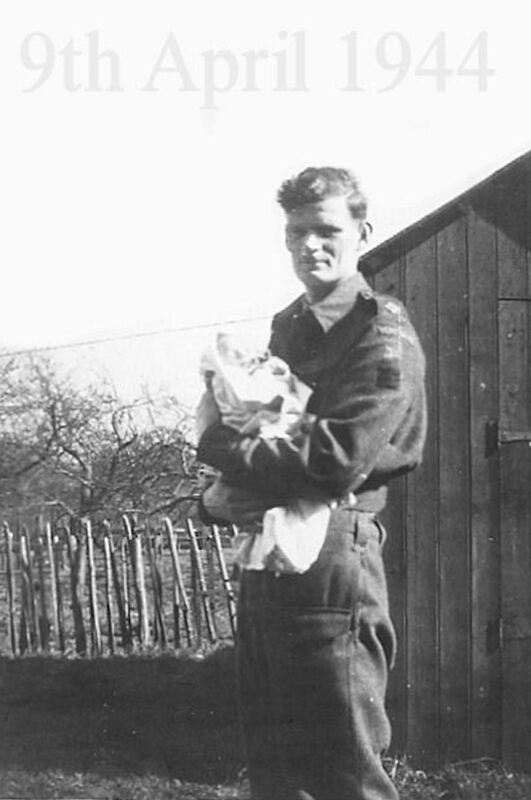 "The Officer-in-Charge there gave me a cigar and all of them shook my hand and congratulated me and my wife"
Fred Kidd remembers the response of the Americans when news of his son's birth came through. His son Tony sent those memories through to the AAM. Carl in Washington DC for the Mutual Concerns Air & Space Museums international conference in 2014. A print stored by Roger Freeman with those of the 355th Fighter Group (FRE 2957). You never can tell what you’re going to come across next in the Roger Freeman Collection. Read more about Life On Base? Colonel Kristin M. Baker, Colonel Elizabeth A. Coble and Peter Park from Molesworth visit the American Air Museum, hosted by Executive Vice-President, Phil Reed (centre), and Project Leader, Jenny Cousins. At the American Air Museum, a lot of our time is spent concentrating on the events of the Second World War, but another important focus is its consequences. The American Air Museum team is thrilled to be able to announce that the Heritage Lottery Fund (HLF) has awarded us a grant of £980k/$1.6m towards our project. For those of you outside the UK, the Heritage Lottery Fund distributes money raised through the National Lottery, to support the UK's heritage. It has had a major impact on the resilience and vibrancy of the sector, investing £5.9 billion in a diverse range of projects since 1994. (For more about the HLF, see http://www.hlf.org.uk/). Jenny in the middle with Major (Ret.) Henry 'Duke' Boswell, flanked by Duke's friends Josh and Dawn. Meeting the men and women who did extraordinary things during the Second World War is one of the privileges of my job. Virginia Irwin from Missouri, talking to Lieutenant Glennon T ‘Bubbles’ Moran of the 352nd Fighter Group. It is one of the pictures that we selected for our temporary exhibition ‘Somewhere in England’, which you can still catch at IWM Duxford up until March 2014. Here is a sneak preview of one of the remarkable people who will feature in new displays in the American Air Museum.